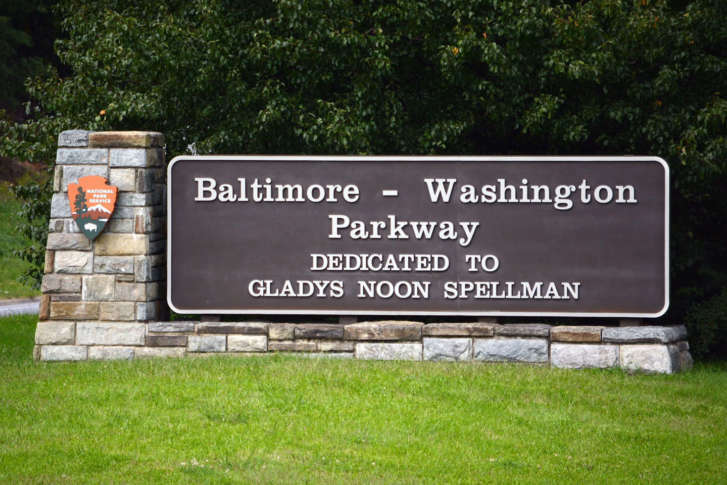 To promote safe driving, the National Park Service has lowered the speed limit from 55 mph to 40 mph on a stretch of the Baltimore-Washington Parkway. 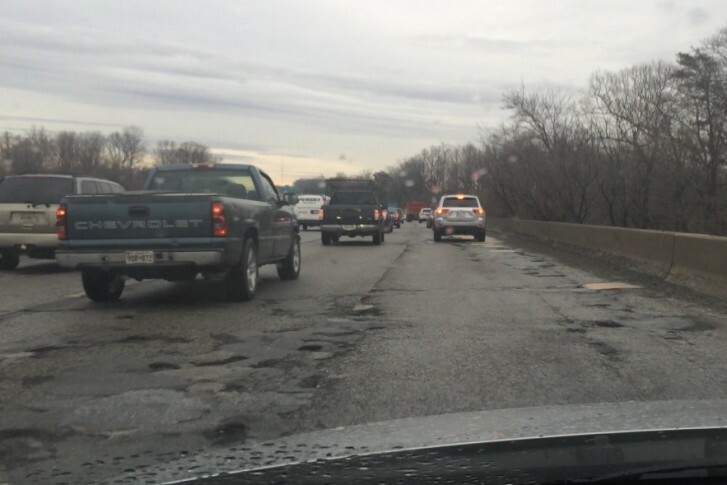 It’s a step toward improving conditions on the busy, pothole-riddled parkway. 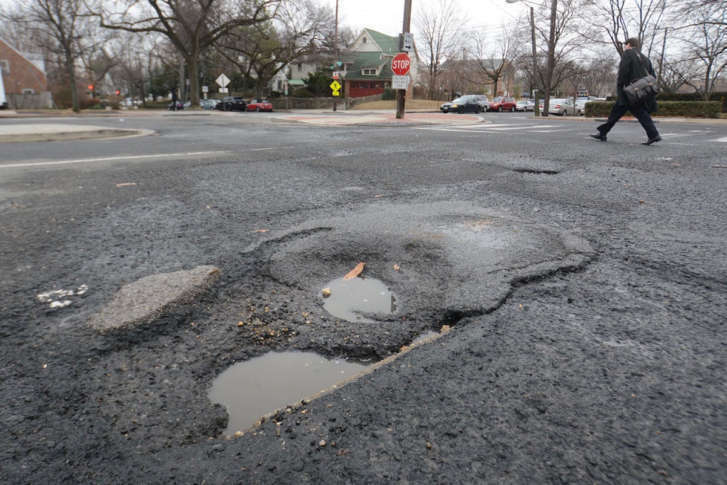 Drivers who unexpectedly slam into a pothole on D.C. streets can sometimes get the city to pay for the damage, and last year, one driver got more than $6,000. 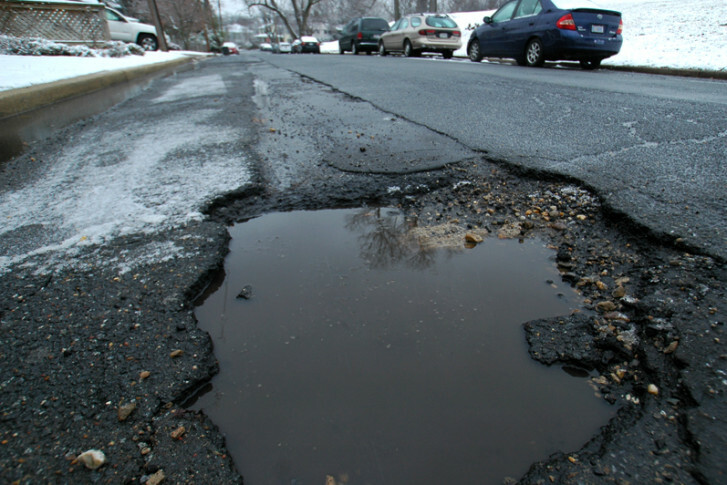 Find out how to report a pothole, now to make a claim — and what you need to prove. 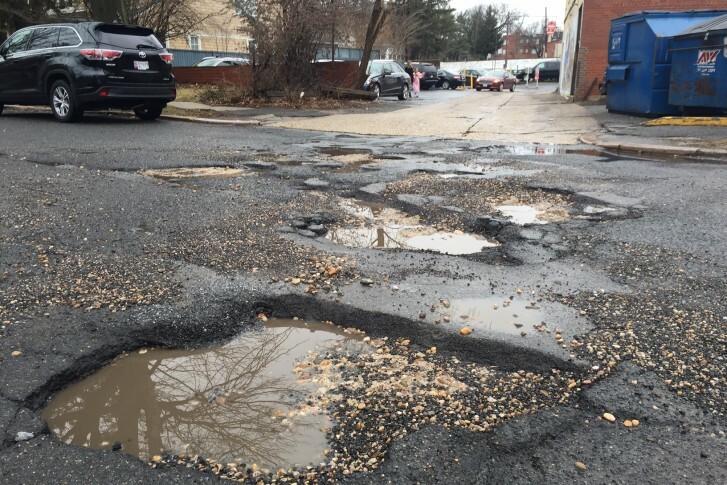 The first wild temperature swings of the season have created a fertile breeding ground for potholes on many D.C.-area roads. 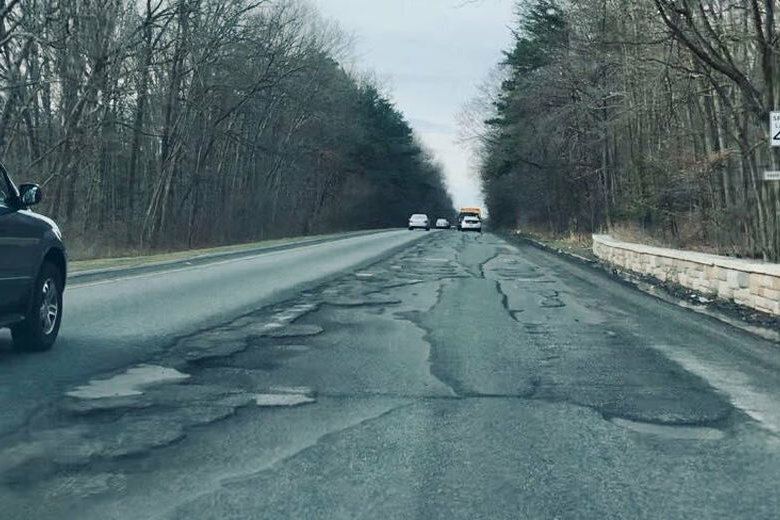 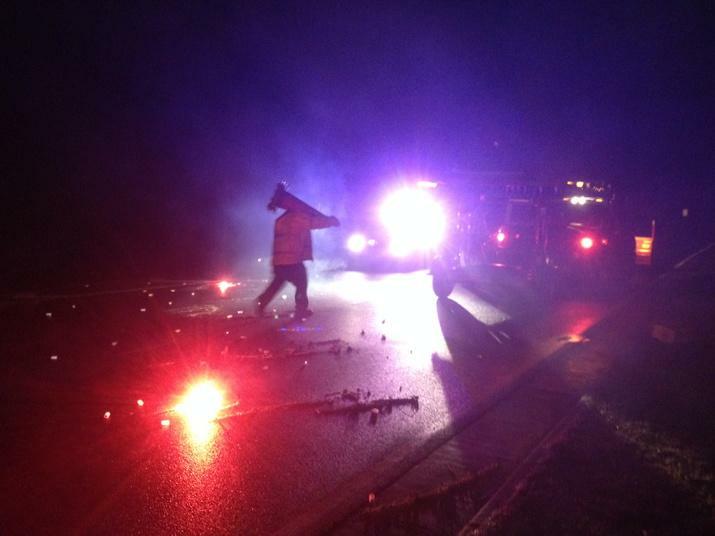 Area highway officials said they’re on the case; find out what they’re doing about the problem. 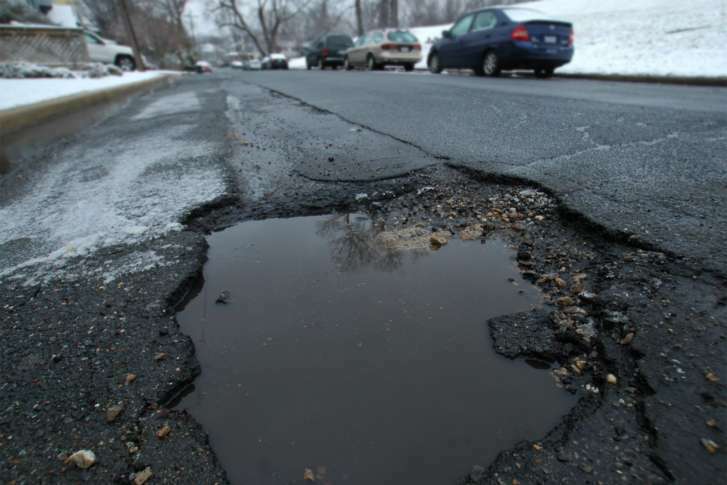 The pothole problem across the Washington metro area is so bad that the National Park Service is asking drivers to take it slow or take public transportation. 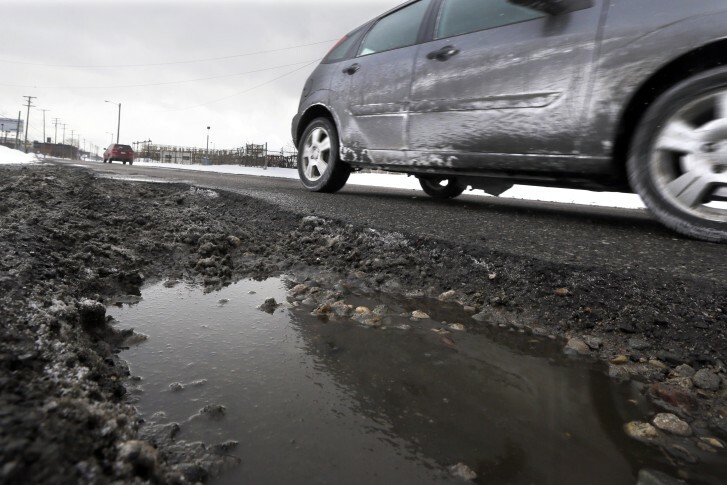 Pothole damage has cost drivers nationwide $15 billion over the past five years. 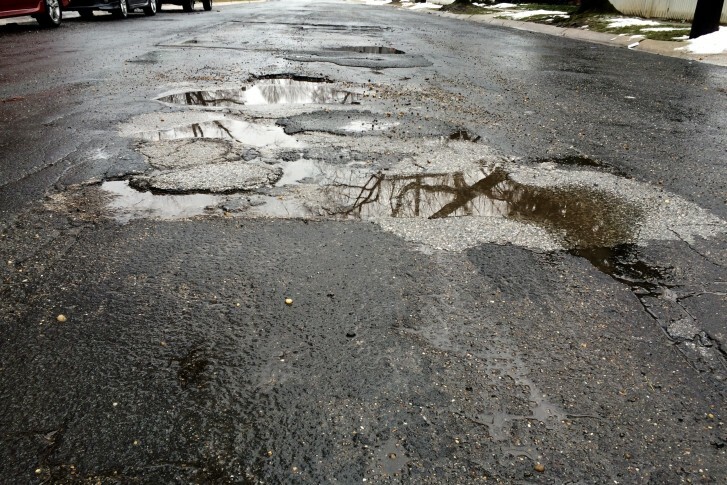 The average pothole-related repair bill is $300. 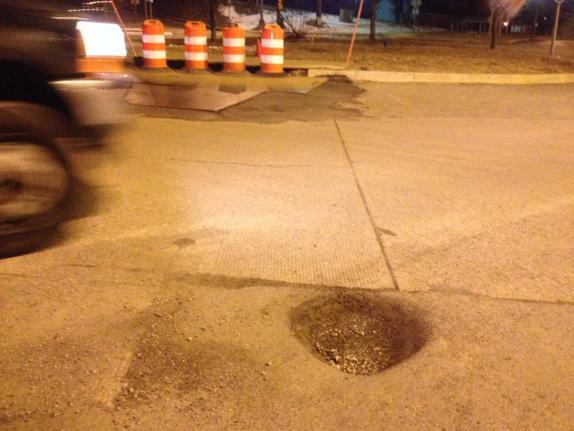 A large pothole near the Pentagon caused a lot of trouble for drivers Saturday, prompting at least one to report it to the Virginia Department of Transportation.